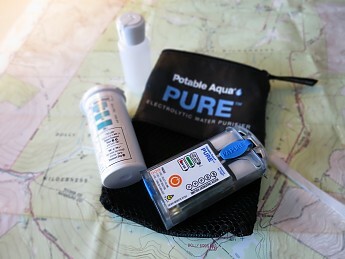 The Potable Aqua Pure electrolytic water purifier uses a simple solution of water and salt to purify the dirtiest of backcountry water, whether you need to treat 1 liter or 20. With a brine mixture, the electrolytic Pure creates a mixed oxidant disinfectant capable of killing 99.9 percent of organisms, including viruses, bacteria, Giardia, and Cryptosporidium. The result is drinkable water. 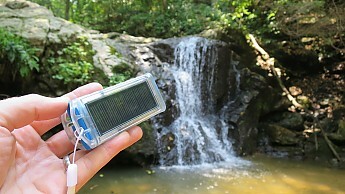 The purifier can be recharged via USB from your computer or an outlet, or it can be charged in the field via a built-in solar panel. 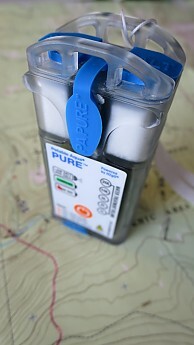 No pre-filtering, pumping, or stirring is required to use the Pure. Select the volume of water you want to treat when you’re ready. 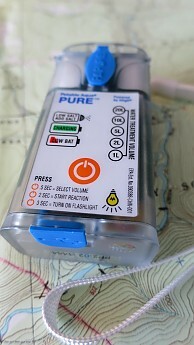 The Pure can treat up to 150 liters of water from a full charge. No replacement parts are required to treat up to 60,000 liters of water. 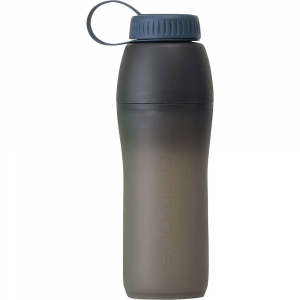 The Pure electrolytic water purifier meets military drop, freeze/thaw, and water resistant standards. 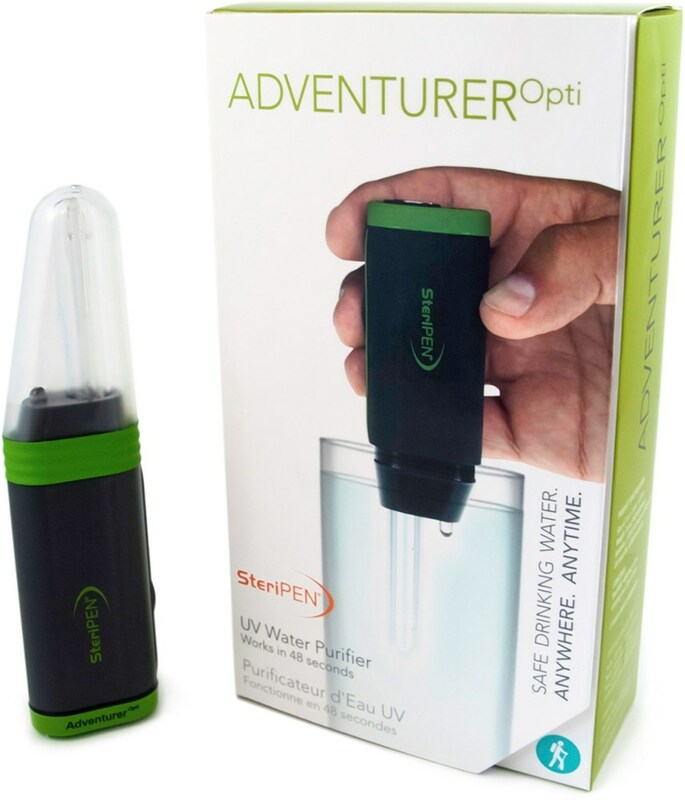 This rechargeable water purifier is an innovative, extremely low maintenance device that almost anyone can use to treat drinking water. Through the process of electrolysis, the Potable Aqua PURE breaks the NaCl molecule in a simple salt water brine solution that produces Chlorine and Peroxide. 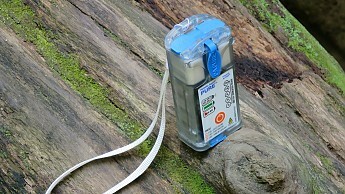 From backpacking to emergency disaster relief, this small device can be used in a multitude of environments. There are few products that break new barriers in today’s innovation and technology. One of these breakthroughs is certainly the Potable Aqua PURE Electrolytic Water Purifier. I can easily envision this product in every world traveler’s kit, where questionable water quality is a possibility. This purifier may really change the face of disaster relief due to its ease of use and versatility! Beyond the application for underdeveloped countries, there is equal usefulness in our backyards and wilderness, lending use of this product to our ‘downstream dirty’ applications. I’ve been in situations where filtering water or using a UV sterilizer is not ideal because of particulate matter, for example a beaver-dammed pond. Operating this device is quite interesting, making the user feel a little bit like part scientist, part apothecary. When in operation, the purifier bubbles and fizzes in the reaction chamber, as a heavily chlorinated odor is released. One could argue that this may detract from the ‘mountain experience’, but I can’t say that I felt like I was ever communing with nature pumping a filter, or stirring a UV light either. The purifier is very durable, meeting military requirements. 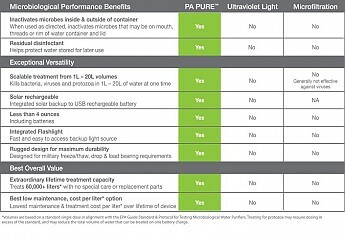 Over the course of my testing, I found nothing contrary or different to the claims of the manufacturer in regards to treatment time, effectiveness, charge times, etc. The device is very straightforward, and easy to operate. Based on the conditions, water that is suspected to have Bacteria, Viruses, or Giardia, the ‘kill time’ that is specified is 30 minutes. If Cryptosporidium is suspected, 4 hours is the recommended ‘kill time’ before drinking the treated water. Without lab analysis, this information cannot be proven based on my experience reviewing the product. The water treatment volume indicator, however is very difficult to see in bright light. 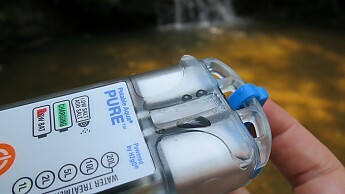 With a full battery charge, the Potable Aqua PURE has shown to treat 150+ liters of water. Over the course of my testing (over 100 reaction tests), I have never found the battery to fail short of what the manufacturer claims. Between having a battery backup and the integrated solar charging panel, this purifier can really operate indefinitely until the unit itself fails (after an estimated 60,000 liters of treated water). 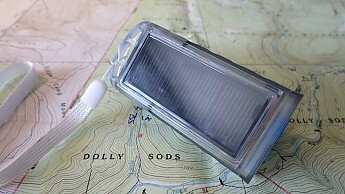 The bottom of the unit has a built-in solar charging panel. 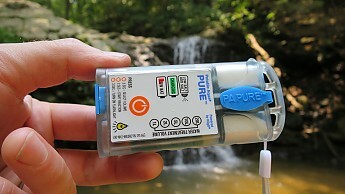 Ease Of Use: PA PURE does an excellent job making this device easy to use. Even without having the instructions or quick-reference guide, there is enough information printed on the purifier itself to get the job done. There is one simple button for powering the device on/off, operating the flashlight, selecting the volume, and starting the reaction. Even without the brine mixture bottle, one can simply add a few granules of salt to the reaction chamber, and fill it with water. If the mixture does not have enough NaCl dissolved in the water, the LOW SALT/ADD SALT indicator will light up, and the reaction will not begin. 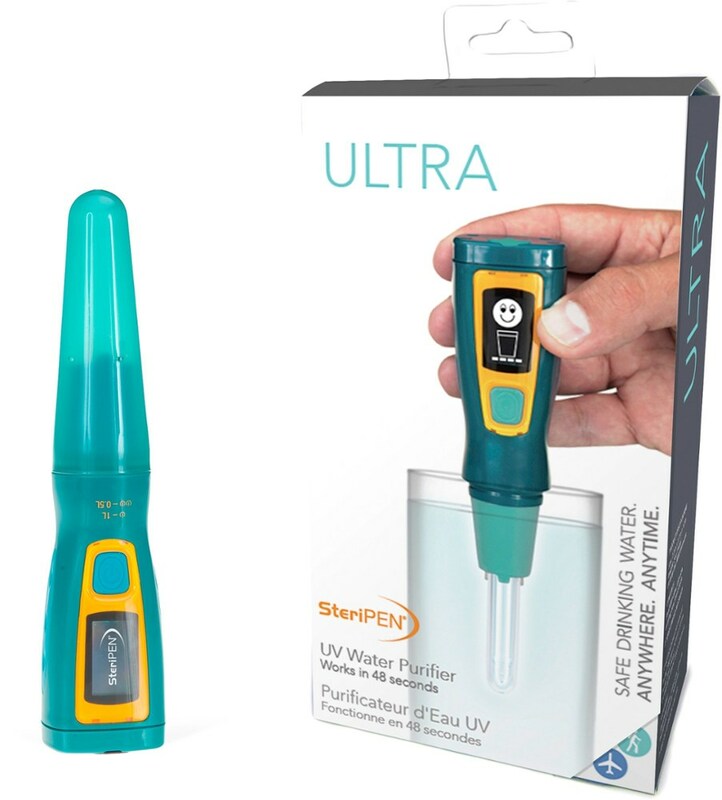 The included chlorine test strips are very easy to use when following the PA PURE steps that are in the manual, quick reference guide, and on the waterproof chlorine test strip storage bottle. 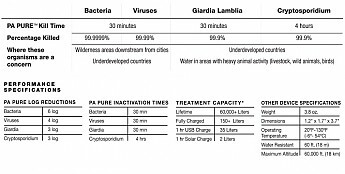 PA PURE has developed a thorough instruction process, which specifically indicates even how to treat/purify the consumer’s drinking bottle lid and threads, which is a commonly overlooked consideration when treating water. In my opinion, this product has ‘left no stone unturned’ when it comes to the important safety of a product that preps for human ingestion. 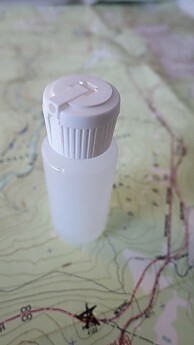 The included brine bottle is very well made, and does not leak or accidentally open. This purifier comes with all of the necessary equipment to charge and operate, save for electricity, water, and salt. There is an included wall plug/USB adaptor, USB cord, brine mixture bottle, bottle with chlorine test strips, and a handy mesh bag for storing everything together. 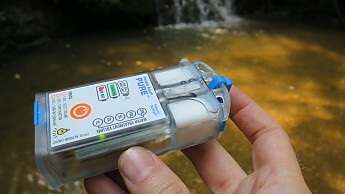 The purifier has three warning indicators; one shows when the unit is charging, another is a low battery indicator, and the most important is the Low Salt/Add Salt light. The integrated flashlight is a nice feature, but overall is unrealistic, except for emergency use. The power button controls all functions of the device. On the top of the purifier, there are two reservoirs for storing table salt, which hold enough salt to likely treat 1,000 liters of water. Both of these reservoirs, the reaction chamber, and the USB charging port all have waterproof rubber covers to prevent moisture intrusion. 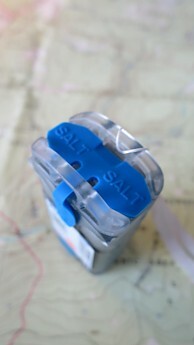 The salt reservoirs have well made rubber covers that stay in place, and are water tight. 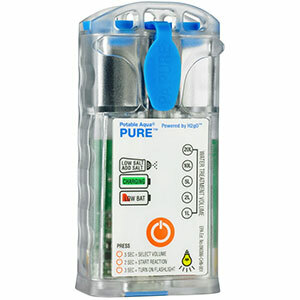 PA PURE also includes a lanyard to help prevent an unwanted drop of the device. Construction & Durability: This purifier has been designed to meet military freeze, thaw, drop, and load bearing requirements. 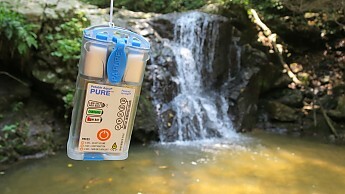 Although I did not purposely or accidentally drop it, the PA PURE purifier has held up extremely well during all use and tests. 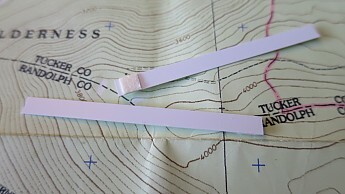 The plastic exterior feels very durable and thick, and all rubber seals and covers fit and seal well. The included USB cable and plug are of very good quality. The included brine container is well made, and does not leak. 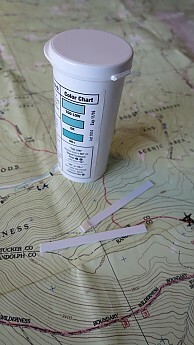 Included chlorine indicator strip container seals properly, keeping the strips dry. 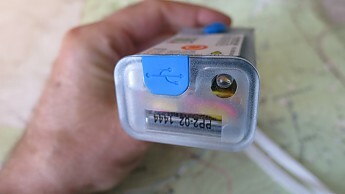 Thick plastic molding keeps the device from breaking in case of a drop. 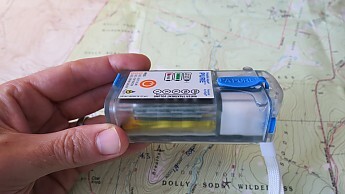 Conditions: Unit has been tested in the Maroon Bells/White River National Forest Colo., gone on several local day hikes close to home, and been extensively tested at home spring-summer 2015. 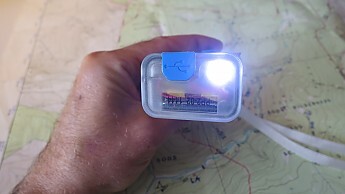 TAKEAWAY: Beyond the Ten-Essentials and the basic gear needed for the backpacker/traveler, there are very few items (especially hi-tech) that I feel should be in every walker’s tool box. 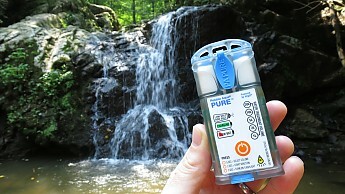 The PA PURE Electrolytic Water Purifier is now one of them! 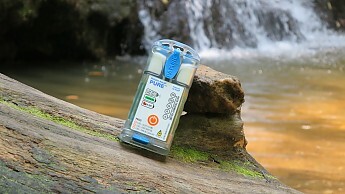 Whether it is volunteer work in Belize, recreational hiking in Maine, or weathering through a power-outage, this handheld life-saver is certain to become a staple piece of gear worldwide! How would one know what is in the water needing to be purified? If you don't know it seems the default purification schedule should be 4 hours which is a long time. Another point, if chlorine taste/smell is an issue, sunlight eliminates chlorine so leaving your water out in the sun should eliminate all chlorine. Will this turn salt water into to potable/fresh water? 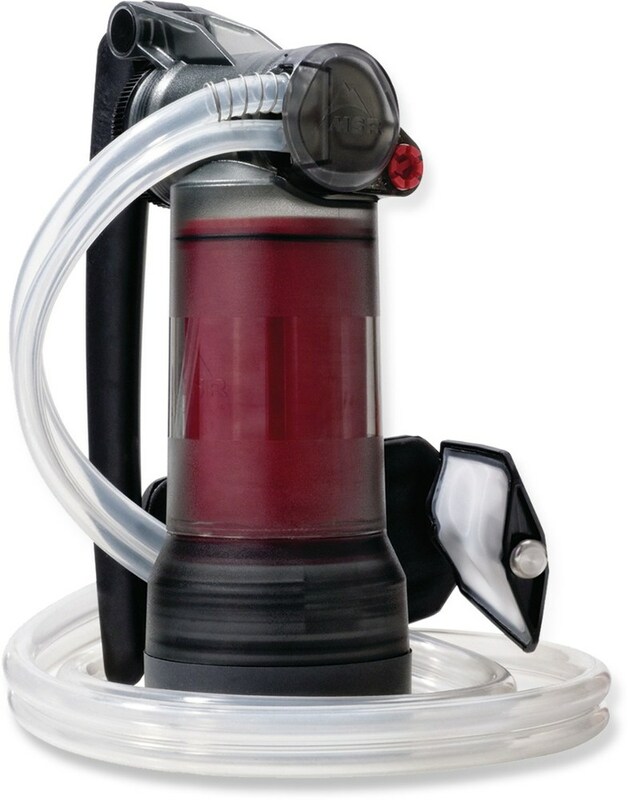 If not, wouldn't a portable reverse osmosis filter, although far more expensive still be the best choice? It will turn any water into fresh, safe drinking water won't it? Steve- Water source knowledge is an often overlooked skill, which is important. Being able to treat 20 liters of water within four hours sounds reasonable to me. Waiting for the sun to remove the chlorine would be unideal, greatly lengthening the time before drinking. Thanks for testing and reviewing this intriguing new purifier, Sean. Great pictures too! Great review, Sean. 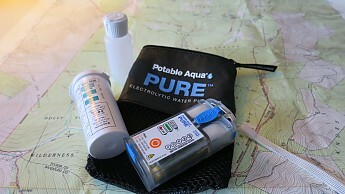 It looks like Potable Aqua really thought of everything when they designed this nifty purifier! You mention no drawbacks or negatives at all, and the 4 hour wait for Crypto is the same for every other chemical treatment option. So why did you only provide 4 stars?? Christian, cons were described at the top of the review, and the points that brought the product review down was the difficulty seeing the display in daylight, and the chlorinated taste. A five star review will also be the absolute best, flawless products out there, which are few & far between. Unfortunately, it was almost impossible to see the display setting in realistic applications. I hope this answered your question, we do our best to provide the best, and objective reviews that we can.